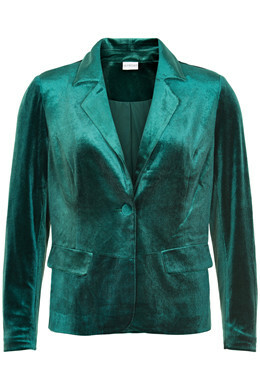 Beautiful suit jacket with incredible comfort from IN FRONT. 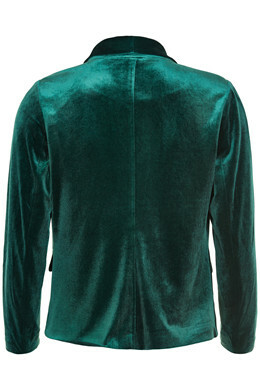 The blazer is in the most beautiful soft velvet in elegant peacock / dark green shade. Fabric is lovely elastic and provides great comfort and a great fit. The jacket has a single button that closes at the front. The button is upholstered in same material as the jacket. There are decorative pockets at the side of the jacket.